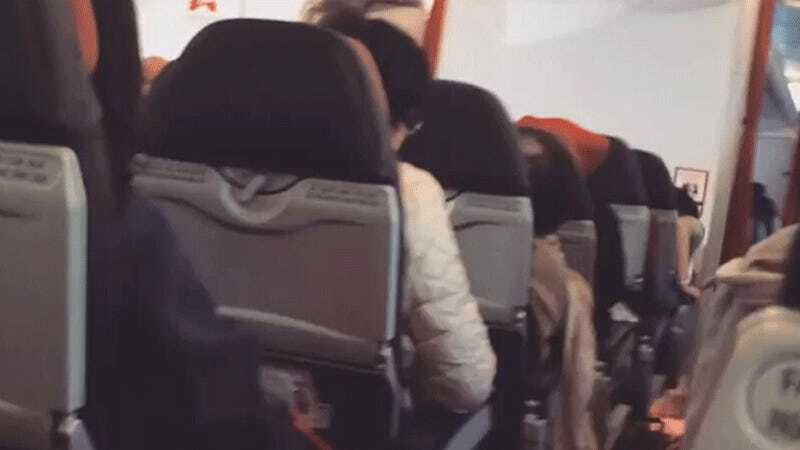 An AirAsia X flight from Perth, Australia, to Kuala Lampur, Malaysia, encountered some sort of technical problem yesterday, which made the plane start to wobble and vibrate for over an hour. Faced with such a dilemma, the pilot, normally a calm, collected voice over a loudspeaker, asked everyone to pray instead. Twice. “It was really shaky, very scary,” [passenger Damien] Stevens said. Stevens and friend Mitch Jamieson were on their way to Myanmar for a holiday. And then the captain asked everyone to pray, which I’m sure couldn’t hurt but is not exactly the sort of thing you want to hear from a pilot, I think??? Stevens went on to praise the pilot for getting the plane back to Perth, which I Would Not Do, but then again, I wasn’t on the plane. The passenger who posted the Instagram video, @maesaya, wrote “I thought I might die,” which would definitely be me instead. The airline thinks something went wrong with the engine, according to CNN, which would make sense as a jet engine is a big spinning thing and anything that throws it all out of whack would could make a big wobble start. Rolls-Royce, which made the engine on the Airbus A330, told CNN that they were looking into the issue. We emailed Airbus to ask if it tests its planes for how they stand up to horrifically violent shaking, and will update if we hear back. The incident is under investigation, and we are in contact with the airline and engine manufacturer in order to help determine what occurred during the flight. We of course will provide support to the investigation into the incident as required.